We’ve added our latest ready to use Moodle theme called Strix. It features multiple layouts, some excellent marketing options, an ‘off canvas’ block region and more. Plus, it comes with stock images and our support to get you up and running fast! Check it out today. We’ve added our latest ready to use Moodle theme called Universo. It features some excellent marketing options, an ‘off canvas’ block region, custom modals and more. Plus, it comes with stock images and our support to get you up and running fast! Check it out today. We’ve added our latest ready to use Moodle theme called University. It features some excellent marketing options, an ‘off canvas’ block region, custom modals and more. Plus, it comes with stock images and our support to get you up and running fast! Check it out today. Does your organization have an older Moodle theme that you like but it isn’t responsive and mobile friendly? We can update your old theme to use the latest core code while also making it more mobile friendly and adding in new functionality and settings. With users spending an increasing amount of time on mobile devices and mobile browsers, making your site responsive and mobile friendly is more important than ever. Contact us today and we can help breathe new life into your older design! 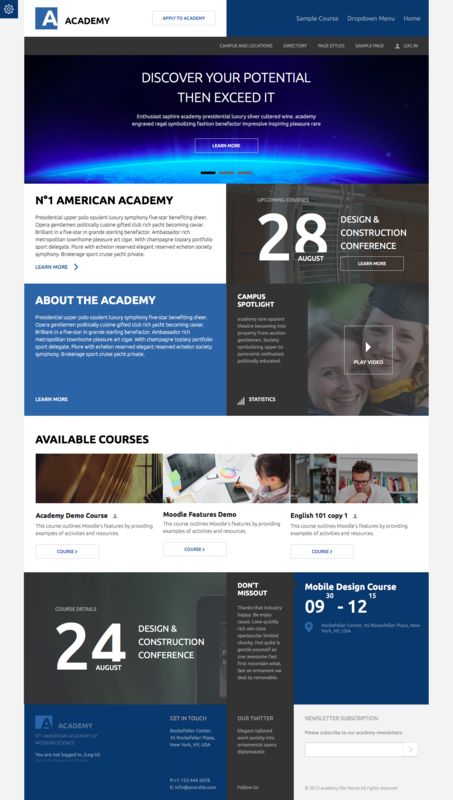 myFirm is a responsive design for Moodle 2.8, 2.6 and 2.7. It includes marketing spots that can be set from the settings page, call out sections, social media icon settings, grid and image course listing, image slider, hidden blocks and more. For a closer look and to try out a demo, check it out here. 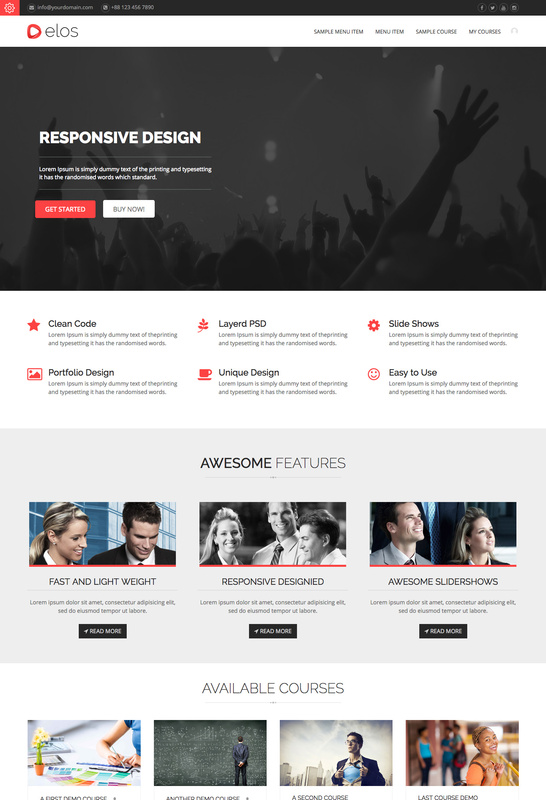 A custom theme settings page also includes settings for logo,colors, buttons, footer info, slider and more.